Congratulations to our ClientÂ Liporidex for their feature in Oklahoma Sports & Fitness. 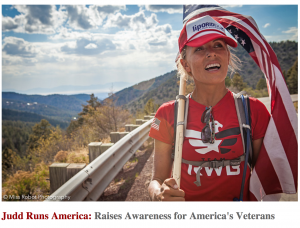 Anna Judd started her journey to run across America on March 22, 2014, and recently completed her journey in New York City. Anna stays powered up and boosts her exercise endurance with Liporidex MAX. This multi-tasking marvel uses proven key ingredients to maintain energy, concentration and endurance while suppressing mid-day cravings and energy crashes, helping Anna on her journey across America. LiporidexÂ formulas focus on safely delivering the most effective combination of high quality, all natural ingredients that help promote weight management and a healthy and active lifestyle. Liporidex offers several options for users including, stimulant free, reduced caffeine, pure energy or maximum strength formulas. Check them out at www.liporidex.com!